The idea of a sweet dessert smoothie made from avocados may seem a bit strange at first, but it’s delicious – we promise! In fact, most Asian cultures only eat avocados in sweet preparations rather than savoury recipes. The avocado creams perfectly, which gives the shake a texture similar to a reallllyyy smooth frozen yogurt. Traditionally this Vietnamese avocado shake (sinh to bo) is made with condensed milk, but we decided to make a healthier version that happens to be vegan too! And of course avocados are naturally packed with vitamins, minerals and good fats. Add your favorite protein powder and make it a meal! 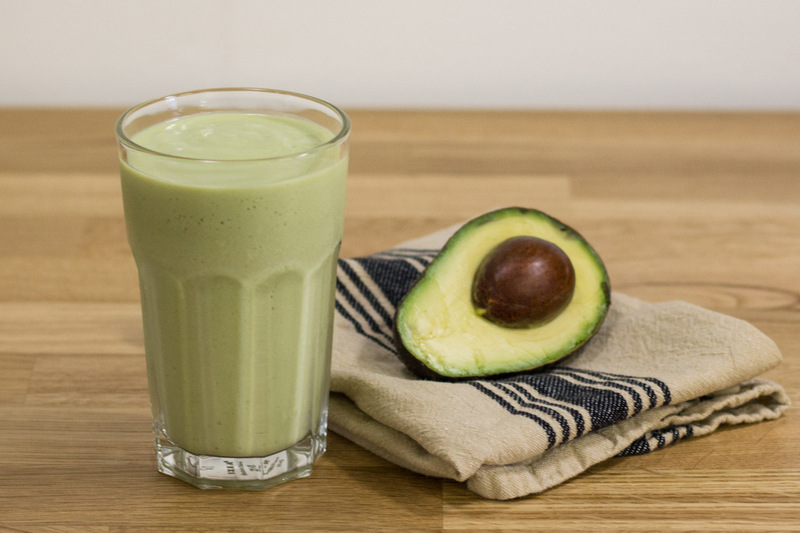 The best part about making this shake at home is you get to use a WHOLE AVOCADO. Most restaurants will only use half or even ¼ of one, but that’s no fun! If you want that signature creamy, rich milkshake-like texture, trust us and toss the whole avocado in the blender. Add the crushed ice and milk, then blend. Add more milk if the consistency is too thick for you. We recommend blending until the mixture looks smooth, but not for too long because the ice will melt from the heat of the blender. Enjoy it cold, straight away!